In order to express our sincere thanks for your supports, interest and loyalty as well as to help our beloved customers have a wonderful Halloween season – Apollotheme would like to announce a shocking discount for Halloween program from 20th to 30th October. Prom period is until October 30th only. So hurry before you miss your chance on this amazing offer! 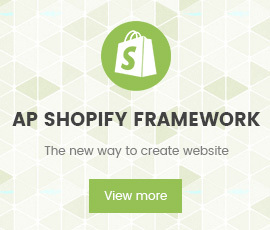 Apollo Theme is the most modern provider of Shopify Template. With 9 years experience, we bring many modern and perfect themes to everyone. With the aim of providing high-quality products for customers, our talented team always tries to work hard and catch up the new trend of technology and design to give you more valued template with a unique combination of new ideas, flexible architecture and easy-to-use product. We are really appreciated it and hope that you enjoy it! Apollo Template want bring the highest customer satisfaction, we have professional supporting team to assist all our buyer. All support will be conducted through our support ticket "https://apollotheme.com/ticket/", send your problems to our email: "apollotheme@gmail.com" or at our facebook with name “Apollo Theme”. We usually get back to you within 24hours. (except holiday seasons which might take longer).